Got nowhere to go for Valentine's day? Whether you are single or in a relationship, Araneta Center has something in store for you. Let happy hearts fly at Araneta Center! Create memories with your significant other as well as your loved ones by celebrating Valentine’s weekend with us on February 12-14, 2016! 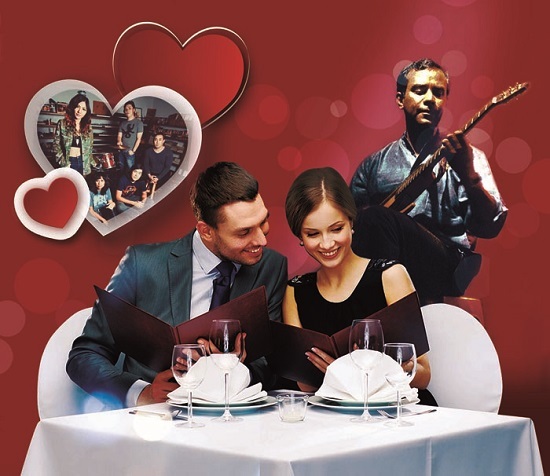 Feel the love and romance as musicians serenade you while wandering around Gateway Mall, Ali Mall and Shopwise Arcade, 6:30 p.m. to 9:30 p.m during the three-day celebration. Music and love will fill the air while watching your favorite acoustic bands perform at Farmers Plaza Activity Area (3:00 p.m. – 5:30 p.m.), Gateway Mall Activity Area (5:00 p.m. – 8:00 p.m.) and Ali Mall food strip (7:00 p.m. – 9:00 p.m.) during the three-day Valentine fest. On February 12, from 5:00 p.m. to 8:00 p.m., head on to Araneta Center for you might just bump into some roving cupids who will also serenade you with their on-the-spot acoustic performance. Who knows, the arrow of love might hit you and your crush! You will definitely have the time of your life as you listen and sing-along to songs of love in an outdoor Valentine concert featuring bands from the UP Music Circle and IMAGO at Gateway Foodpark on February 13 from 6:00 p.m. to 9:00 p.m.
Join our Valentine promo on Instagram for a sweet treat for you and your loved one! Follow @thearanetacenter. Repost the photo of “My Loaded Valentine Weekend” and tag 10 other people, along with @thearanetacenter and @novotelmanilaaranetacenter. Don’t forget to use the hashtag #ATMMyValentine. Three lucky winners will win two (2) tickets to watch Boyce Avenue at the Smart Araneta Coliseum and a dinner buffet for two at Novotel Manila Araneta Center. Loaded with romantic and fun activities especially made for you and your loved ones, Valentine’s at Araneta Center will be a weekend you will never forget!